With technology changing every hour, every minute, payment options are increasing for the business owners as well as for the consumers. Giving a break to limited choices, payment gateways have almost doubled-up in the recent times. No matter what type of business you own, access to robust payment options will keep your clients satisfied. Besides favoring them, it will also ensure that you don’t miss any sale. One such example of payment choices is ‘mobile payment’. Yes, that’s right, payment using Smartphone. Looking back to recent years, concept of mobile payment was hardly known to anyone. However, things have changed today and this payment option is all set to spread its roots globally. Looking at the statistics, it can be concluded that more than thousands of mobile payment devices will be launched in the trading sector. This advancement will allow customers to shop for their desired services & products using Smartphones and tablets. Talking about the present scenario, limited portion of consumers are purchasing their stuff via mobile payment. This will grow further in the coming one or two years. 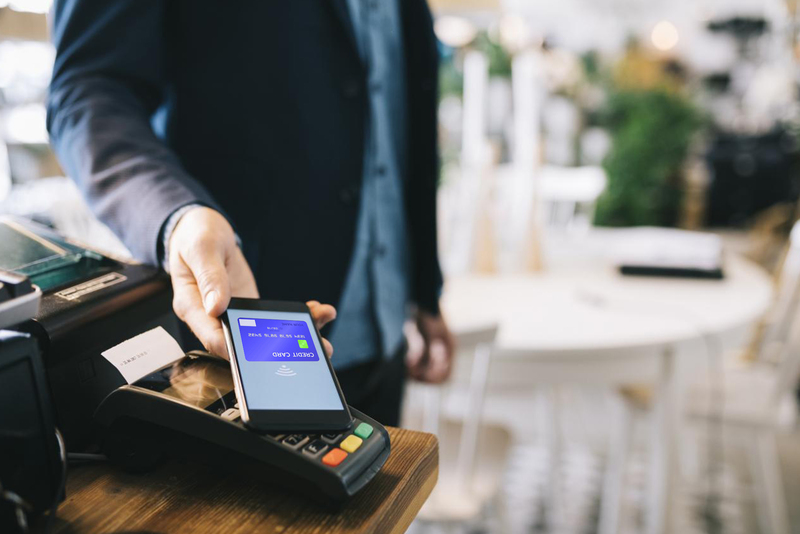 Influence of Smartphone payment processing can be easily understood by comparing how some of the most established service providing companies have allowed their customers pay bills via phone. As more and more consumers are choosing to pay this way, it has become important for retailers to provide their customers this alternative payment mode. Doing so will bring clients to their company’s door and buy their services. As this technology is easy for both the clients and business owner, calling it a smart move won’t be wrong. The graphs of some companies have shown tremendous revenue growth by going this way. All these valid reasons clearly show that mobile payment has been accepted openly by the retailers and customers. As much as customers love shopping, they equally love convenient mode of payments. What could be better than paying with a device they keep along 24*7? Prime reason behind opting for mobile payment is that it frees them from the headache of standing in long queues at cash counters and waiting for their turn. To summarize, it can be said that using Smartphone for paying the bills and shopping anything one wants is something everybody is comfortable with. Generally, it is not possible for business organizations to know which of their services is a hit among the customers and which services they lack in. However, this issue is not seen in mobile payment, as it enables retailers track what products they are selling and in what ratio. This helps in improving the quality of services provided and develops healthy relation between the client and the owners. Last but not the least, this innovation help customers save their money on credit card fees. This is a very strong reason, which pushes them towards mobile payment services. As no fee is charged, they can easily enjoy the merits without paying any cost. Drop Your Further Queries and Contact the Professionals of Paycron.